I also and one of the guys the runs Annual Wheeling Event called Crawling for Reid. Reid is my nephew and I felt like I had to do something to help this little boy and others that are born with the same disease. Reid and CFR has become my life and passion over the last 4 years. Welcome Cru9. Did the bump stops come in? Aluminum Rings I am assuming.? Who made those for you? I may want to do something similar to my slabs. A buddy in Ellijay. He owns a machine shop. Got me thinking now. If you don’t mind, shoot me a pm or email on how much he charges. Or if he would even be willing to make another set. Here are some finished pictures. Looks amazing Bobby. Love how low it sits with those 40’s. And I’m still jealous of those beads. 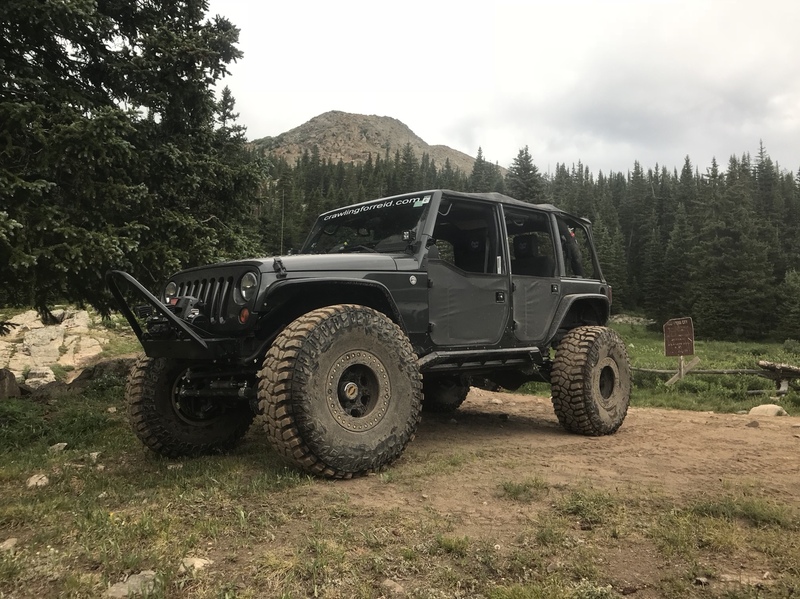 My shake down run was our trip to Colorado. I was lucky and pleased with the way everything worked in our trip. Anything you want to change up after the break in? I have to change the power steering pump. Still running the factory and need to change to a high flow pump. Other than that just need to start planning the next step. Good to hear. I plan on doing a red neck ram on mine. The pump concerns me a bit. 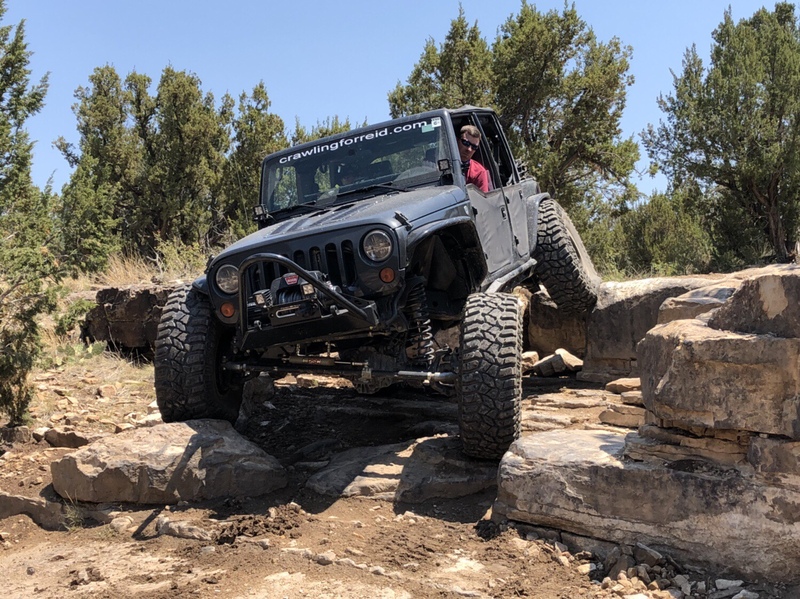 But I don’t do any fast stuff in the Jeep, so I’m not sure how it would actually affect me on the trail. I am running the West Texas gear box, hoses supplied by them, PSC ram and like I said above the factory pump. Will be going with a PSC hi flow pump. Steers great if your foot is on the gas pedal. For example coasting into a parking place the steering will get extremely slow and hard to turn. Is it simply a stock JK box that’s been tapped or have the spool valves been modified? Looks crazy with those 40s.